Iggy Azalea has managed to maintain an itty bitty waist while keeping her booty thick. We’ve got her diet and workout secrets that help give her such a banging body. 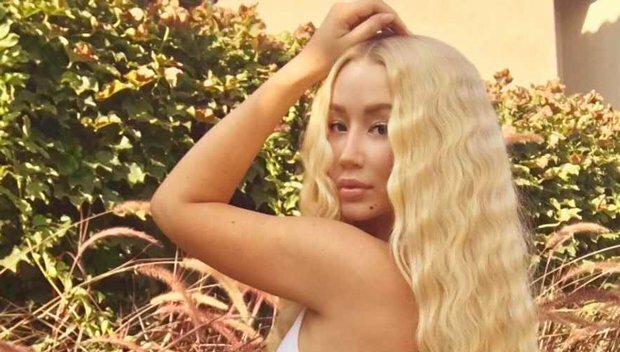 Iggy Azalea has fessed up to having a nose job and breast enhancement, but she’s always maintained that her tiny waist and thick booty are one hundred percent what nature — and workouts — have given her. These days she’s looking extra fine and been flaunting her body on social media. “Iggy wanted to feel even better about herself so she made a decision to completely change her eating habits and workout routine. Iggy originally planned on sticking to a new, healthy lifestyle for a month, but she felt so incredible with the results she was seeing, that she has stuck with it for a few months now. She removed processed foods from her diet and almost completely gave up carbs and sweets,” a source close to the 28-year-old “Fancy” rapper shares with HollywoodLife.com EXCLUSIVELY. “Iggy also follows a strict workout regimen which includes hitting the gym several days a week. She loves cardio to keep her waist slim, and lunges and squats to keep a bangin’ booty,” the insider adds. The Kardashian sisters have also confessed to doing tons of squats to keep their backsides bountiful so it seems to do the trick. “Iggy has been very committed to fitness and healthy eating, but she still has cheat days and allows herself to indulge once in a while. She isn’t too hard on herself and knows that splurging once in a while keeps her motivated in the long run,” the source adds.